Many clinicians offer strong instruction in building a relationship with the horse but too often exclude safety concerns and teaching the skills necessary for safe and fulfilling use in the backcountry. They don?t show students how to tie up a horse?s foot should you have to restrain him to pull porcupine quills, and they don?t teach basic knots and hitches. Enter Dan Aadland, a seasoned equestrian and breeder who shares expertise gained from riding backroads and teaching clinics. Aadland first teaches students to understand the natural impulses of the horse and how to stay safe, a method he calls ?survival horsemanship.? He then moves on to training both horse and rider in the basics of trail riding, including saddling, mounting with control, trail savvy, types of trails and obstacles, domestic and wild animal encounters, and staying cool in stressful situations. Other helpful topics covered include:Essential neck rein skills Elementary packing A mule primer Safe trailering Low-impact trail riding And much more! 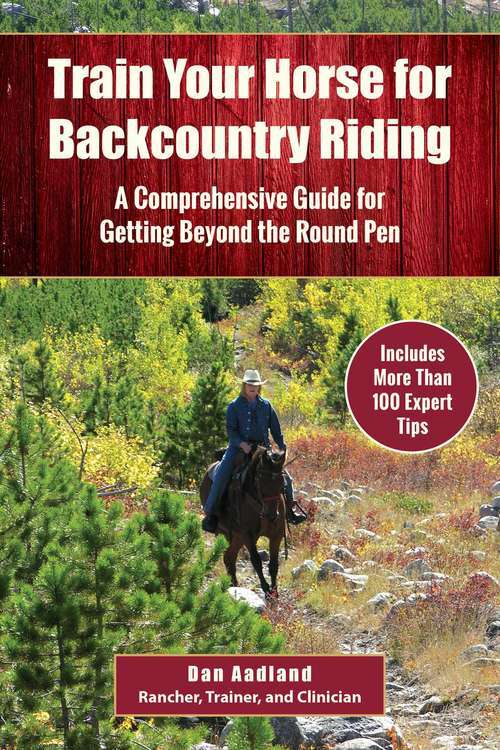 With Beyond the Round Pen, riders will be ready for safe backcountry exploring in no time.